We offer consultation for your drilling and cutting problems. We offer professional training of your staff at your site. 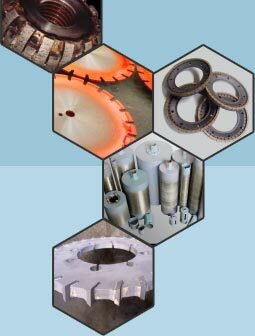 We deliver diamond tools and machines from stock. We offer service and the reparation of your machines. We equip your tools with new segments. We deliver by parcel service. We are available out of the regular office hours. H&W diamond tools: as flexible as your work.